With our Rigorous Recruiting Process, we find that 72% of candidates are lying to get employment with you, and we filter them out. We have deep experience in recruiting the following positions for our clients: China or Greater China Leaders, General Managers, Operations, Finance, Quality, Supply Chain, Engineering, Marketing and Sales Leaders. SHI Group China Recruitment Agency helps companies find amazing leaders by handling executive search China for them. Leadership is the most critical aspect for your China work. So let us get premium Executive Recruitment China working. China leaders are often top-down and act as if they are the only smart guy. But other uncountable fatal issues can also exist. Regardless of their fatal flaw, poor leaders have many ways to protect themselves, maintain their image, and cover up things they do not want you to know. This goes for Westerners as well as Chinese top leadership here. Our executive search China strategies will help you navigate the murky waters of recruiting trustworthy leadership. However, there are also those who are great leaders—by which we mean they are hands-on and get all below them to be hands-on as well. They recognize that everyone on their team is a genius in some way. These subordinates then put their full heart into the work. Good work is recognized and rewarded; bad behavior is dealt with. People understand what is good work, and how it can be done. Greatness and experimentation are encouraged in suitable ways. Learning is continuous. Data is gained, used, improved and never manipulated. Customers are found and served as all are working together. Unfortunately, companies tend to hire people who are good talkers and can tell great stories. Great interviewees do not equal great leaders. Many great talkers have big gaps in leadership and know how to cover them up, so it takes a long time to spot them even after hired. This is especially difficult when oversight is overseas. Most hiring managers have not gotten past their gut feel. If it feels right, then it must be right. They need to overcome this. In the West, we made factories very data driven, and yet hiring is still deeply influenced by gut feel—with bad results. At high levels, the interviewees refine skills meant to manipulate. We understand the limits of the interview process, so we use the interview to set up the background check. The background check is the solid data and the king of our process. We will drive out 80% or more of the top leaders via the background check. The 20% we recommend to you are the gold that will take your business high. We know outstanding executive leadership understands and embraces critical change. That is one reason why companies have relied on SHI Group China’s depth and breadth of experience to help them identify and recruit their top leaders. As a premier executive recruitment China firm, we have the ability to attract, influence and maintain candidates that can deliver critical value and open the doors to new opportunities for our customers. With each project, we carefully focus on each customer’s needs, goals and leadership criteria. With years of experience, we deliver much more than recruiting expertise. Our executive search strategy depends on each of our client’s unique needs. We meet you wherever you are. Whether you’re beginning to craft a position description or you’re ready to take a role to the market, our goal is to understand and reflect your strategic imperatives to develop the strongest pool of candidates. Our research and outreach efforts leverage our extensive network of former clients, placed candidate’s networks, experts in the field and emerging leaders. We primarily reach out to top-tier potential candidates who are not actively seeking a new position but who you want to join your organization. SHI Group China interviews candidates with high potential and evaluates them closely. We also provide you with regular updates on the developing pool. Our executive recruitment China strategy dives deep into the background of the clients as well to ensure they are real and the right fit for your company. After briefing you on the candidate pool and providing relevant candidate materials, we work with you to decide which candidates you would like to interview. We can also help with candidate scheduling and travel logistics. Once finalist candidates are identified, we conduct both formal and additional informal background checks to get real data and provide those to you. 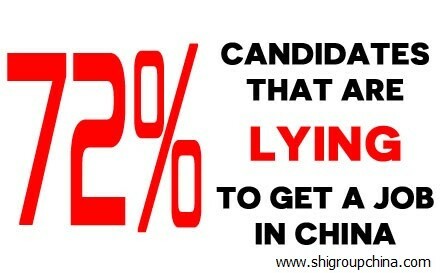 SHI Group China finds candidates who have the required experience and expertise for your organization. Then we do the careful background work with the candidate’s permission to prove if these candidates are who they say they are. For top leaders, we find 80% are untrustworthy through the background check even if we plead with them to come clean. To ensure our effectiveness as a China recruitment agency, our team leverages the strength of its international network. Following extensive consultation with the client about needs, we develop a comprehensive understanding of the organization, its business goals, and culture as well as the specific requirements for the appointment. The reasons why the job is attractive are also carefully analyzed. We work with you to define an ideal candidate profile. At the same time, SHI Group China creates communications materials that describe the opportunity and the organization for potential candidates. We with the client develop a specific search profile. Then SHI Group China uses the contextual experience and creativity in our China recruitment agency. This is a critical step because it digs up hard to find Executive Search China candidates. We thoroughly screen potential candidates. SHI Group uncovers and examines candidate key qualifications. We verify candidate past performance, motivation and personality. Furthermore, we assess weaknesses. Throughout the search process, we keep you informed of progress and findings. A list of qualified candidates together with interview reports is presented regularly to the client. We formally recommend those who pass our background check. Aside from comprehensive candidate reports, we constantly seek client feedback. SHI Group China takes a holistic approach to executive search China and talent acquisition in China. We seek to represent you as you really are. We seek to present candidates as they really are through deep background checks. In addition, we make it a priority that all candidates, not only the chosen ones, benefit from a positive and professional experience. The right understanding of the candidates true experience ultimately results hiring stand out talent. A successful Chinese recruitment requires rigorous analysis, creativity, honesty and sound judgment. Throughout our executive search China process, we identify, attract and understand extraordinary executives. We also learn as much as we can about your organization to get people suitable to lead your businesses. 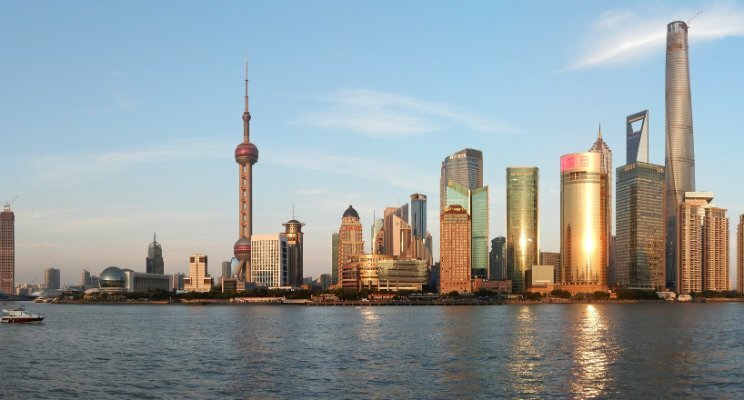 At SHI Group China, we combine recruiting savvy and hard to believe transparency with clients to ensure clients have the knowledge to make an informed choice. Through deep research and knowledge, we get to the truth. We then guide businesses towards appointments that will secure their future. Our team at SHI Group China understands that having the right people in place is critical to success. We work closely with our clients to develop customized strategies that provide solutions for recruiting and retaining those people. Our executive search China methodology is at the heart of our team’s ability to produce successful results. We use a sourcing process that allows us to identify and recruit the most qualified candidates that other recruiters often cannot find. Furthermore, SHI Group China conducts an exhaustive search for each engagement, rather than waiting on people to apply, or matching requirements to resumes already on file. Finally, we do a deep background check that finds that 80% of the Executives are lying to get the job. Overall, we seek excellence in everything we do. We strive to deliver lasting value to our Western China recruitment clients. We believe that success is a pattern that stems from our dedication and commitment to detail and transparency. At SHI Group China, we do the right thing in executive recruitment China. We listen to our customers, we communicate transparently, and we deliver on our commitments. Our passion for helping people find great jobs is the key driver to our success and expertise. We take pride and enjoy each and every employee match we undergo. We believe in relationships, and not just transactions, and we take very seriously the promises and commitments that we make.